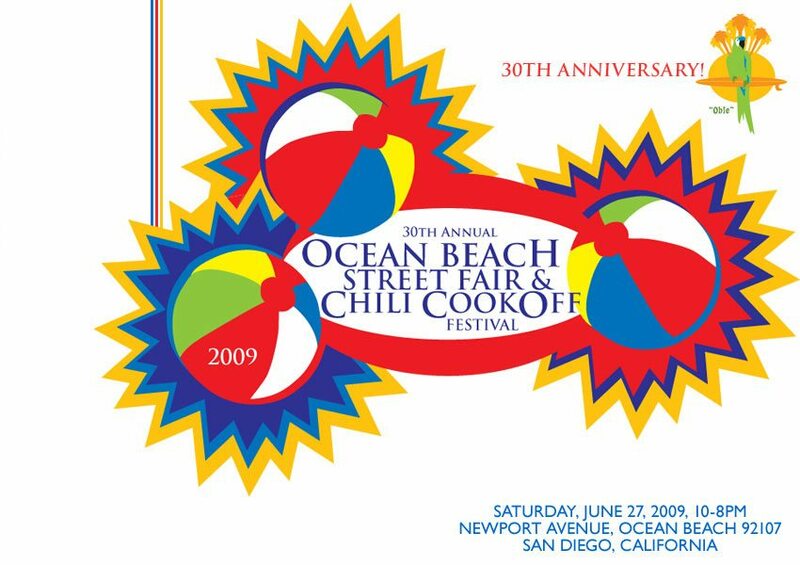 The local blogosphere is chock full of rumors that Union Tribune editorial writer Chris Reed is readying a post exposing the Ocean Beach Street Fair & Chili Cookoff’s connections to organized labor groups. Reed, who spent his formative years undergoing ideological training at The Orange County Register, joined the UT in 2005 and pens the paper’s online sop to wingnuts entitled “America’s Finest Blog”. Apparently Mr. Reed was traumatized as a child by a bully whose father might have been a union member, as he has specialized in writing editorials blaming trade unions for nearly all of society’s ills. Global warming? Blame the Teamsters! Depressed economy? Blame the UAW! City trash pickup? Blame the unions & privatize it all! There is no issue in Mr. Reeds’ world that can not be resolved by union busting or privatizing. Lately though, he seems to have found a new interest: graphic arts. Last week America’s Finest Blog compared California Atty. General Jerry Brown to Homer Simpson. This week word has it that he’s teamed with a local fringe group to attack the logo being used by OB’s Street Fair as some sort of secret sexual message designed to corrupt the minds of our youth. It seems as though the group, Objectosexual Conservative Research Action Project (OCRAP), thinks that the logo is too phallic. What do you think? We think that this posting was as good a way as any to remind you that the 30th Annual Street Fair is just two weeks away! And that all the UT’s editorials and their writers make us say “Oh, Crap!”, every time we bother to read them. Do these people have lives? One has to wonder if their pepper and salt shakers are small round kinds. Wow. i mean, i guess i see something kind of sexual in there…now that someone pointed it out. If i was to complain about how the Padres mascot has sexual connotations because its a priest, would somebody see my logic? I had a nasty e-mail fight with that wing-nut Reed. I’ve noticed it before. I think it’s funny, and absolutely harmless. But the padres friar….now we’re onto something Lane. Ever notice he’s always carrying that phallic looking baseball bat and wearing what could be considered some sort of dress, big gay smile, not to mention he’s a catholic priest of sorts, geesh! The balls need to be larger. This is OB. And the comment of the day award goes to….Gary Gilmore Goldsmith! LOL! Gary, I’m bringing my monitor/keyboard down so you can personally clean the coffee you caused me to spew all over them. ROTFLMAO!! Besides, you “really have to look” to see that whole phallic thing. I wonder what that wingnut guy thinks about all day…phalluses? Phalli? The washington monument? Don’t you love it when these right-wing nuts crazies set themselves up as easy targets. I’m sorry, I meant to take out the word nuts. Didn’t want to offend anyone. mr fresh, jon, drumwebguy – get your minds outta da gutta, far crissakes! wait- mr fresh didn’t make a comment. drumwebguy – you’ve been on the web too long, WTF is ROTFLMAO? Nunya – very good to hear from you! Tell more, por favor! Mike – is it my imagination, or are the left balls smaller than the right one? Oh yeah, I didn’t notice it until Jon brought it up, er, out, honest! I thought it was damn funny!!! It needs fireworks shooting out of the end.